With Iris I won the doll ring award at the international doll and bear show in october 2008. 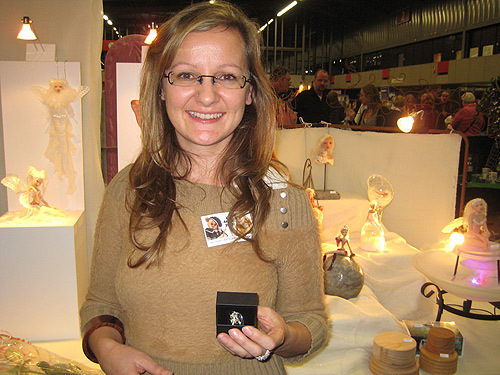 The doll ring award is a prestigeous international award for doll artists. Many doll artists like Joke Grobben, Nel Groothedde, Hannie Sarris, Diane Guelinckx, Kim van de Wetering, Marijke van Ooijen en Claudine Roelens won this award the years before. 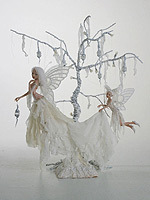 The same year, my fairy Nightwish got Second place in the Fairy Fantasy Forum Challenge 2008. 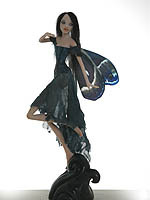 This fairy was especially made for this competition that had the theme “Night creatures”.